The season’s last white truffles. There is nothing you want to do to a white truffle except to let its aroma rise. You shave it, usually to top risotto or pasta, but on occasion going over meat, and you collect crumbs of it to steep in honey or to aromatize pickles. In my final truffle dinner of the season, I served it in most of these ways, letting my thoughts share it privately with an absent guest who had always been powerfully drawn to it, Marcella. I had two appetizers, mountain gorgonzola drizzled with truffled honey, and pickled peschiole, dwarf green peaches the size of olives, preserved in olive oil and truffle shavings. The first course was a butter and parmigiano risotto, the ideal foundation for a blanket of truffles. 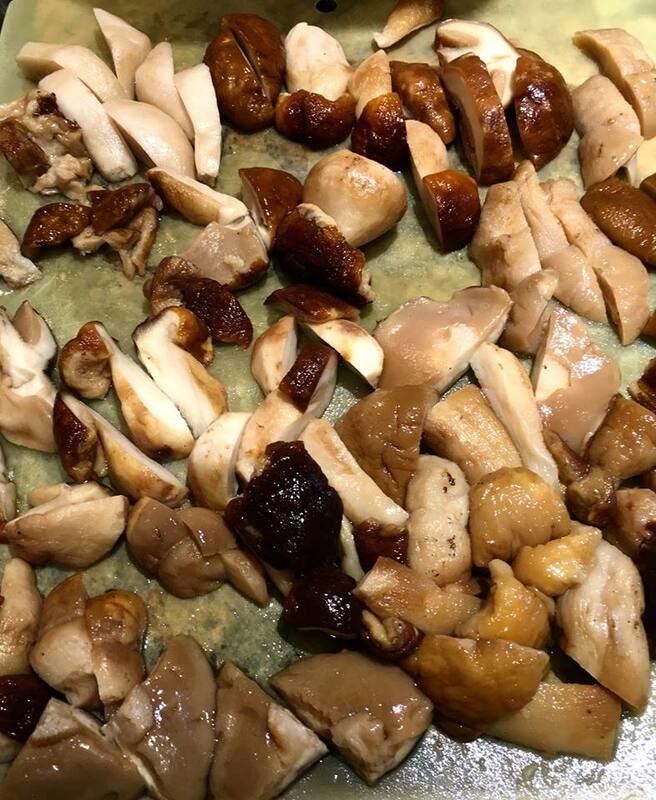 The risotto’s cooking liquid was porcini mushroom broth, the filtered soak of the dried porcini that I subsequently was to use, together with fresh porcini and shiitakes, in the side of mushrooms served with the meat. The meat course was cotechino, the creamy cooked pork sausage of northern Italy. It is sometimes served with mustard fruits, but I prepared instead some good Dijon mustard beaten with a combination of truffle crumbs and shavings. The wine throughout was juice of the same Piedmontese earth that had produced the truffles. Victor.